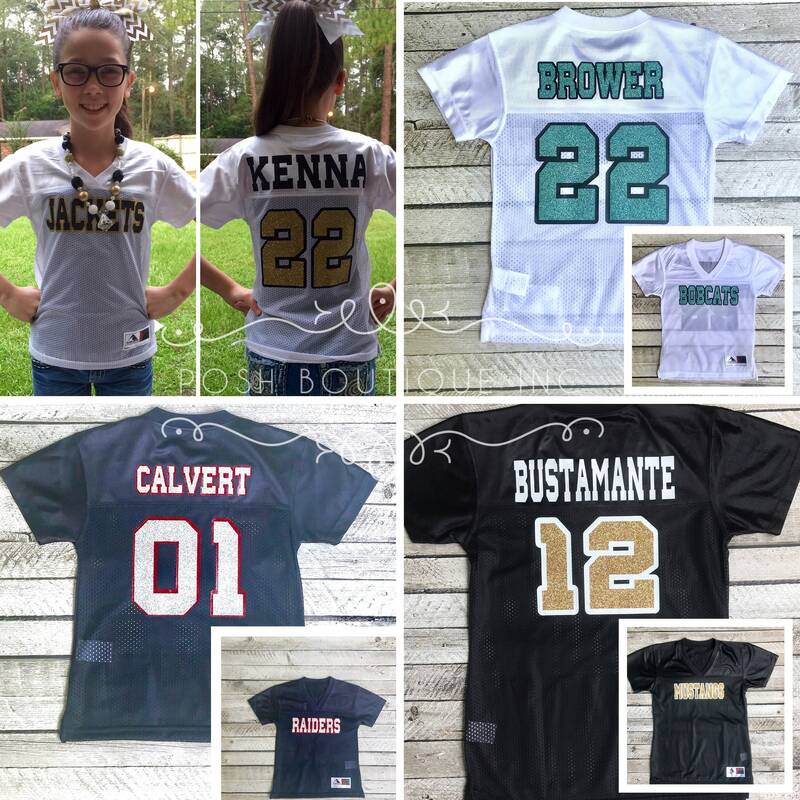 Our custom jerseys are perfect for your squad to wear on game days, for your next football party, or football themed bachelorette party! 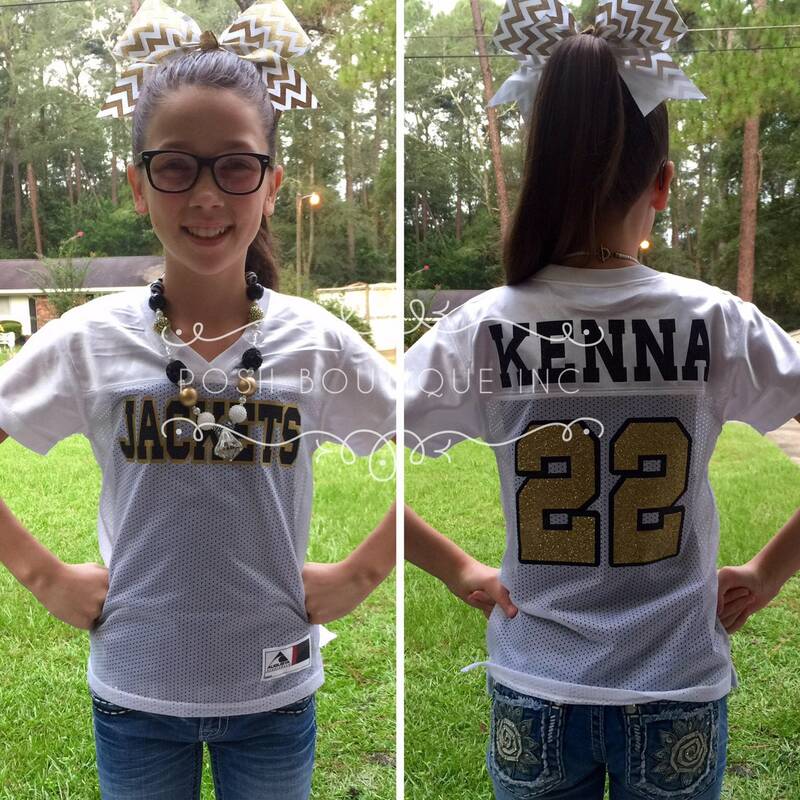 Wear on game days to school, show your team spirit at your next football party, or wear to the game! 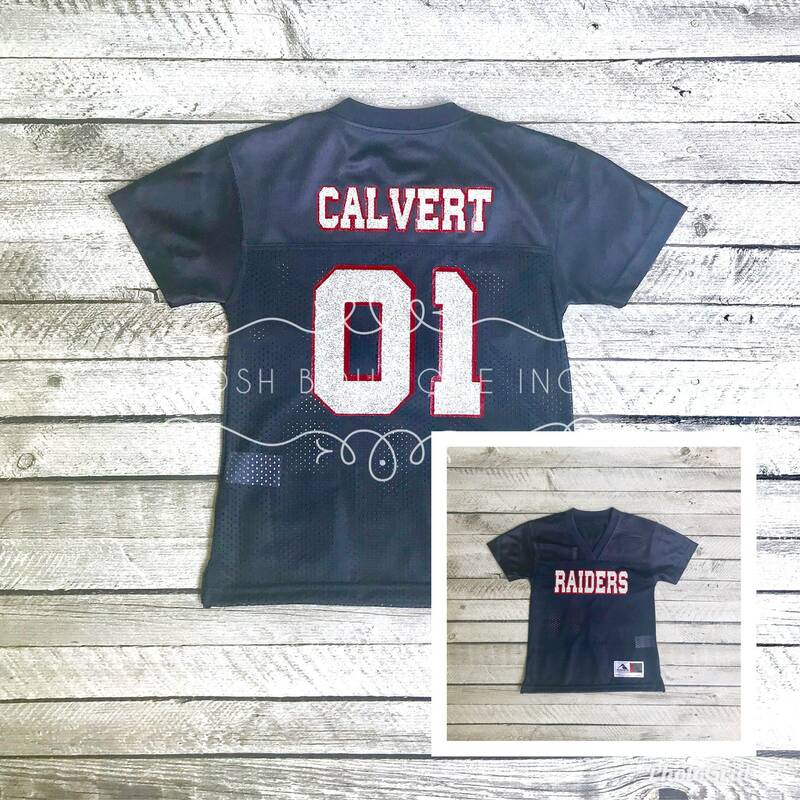 We offer GROUP DISCOUNTS, and custom make your jerseys any way you want them! Contact us with your custom idea, and we'll be happy to work with you to create a custom listing for your team or group! 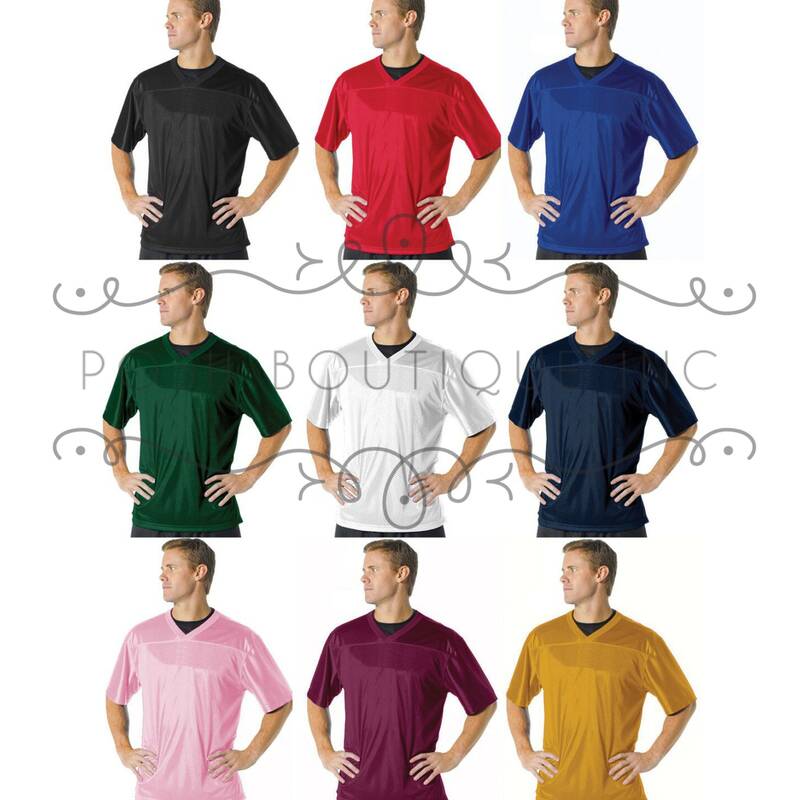 First, see all listing photos for jersey color options, print color options, size and style charts. 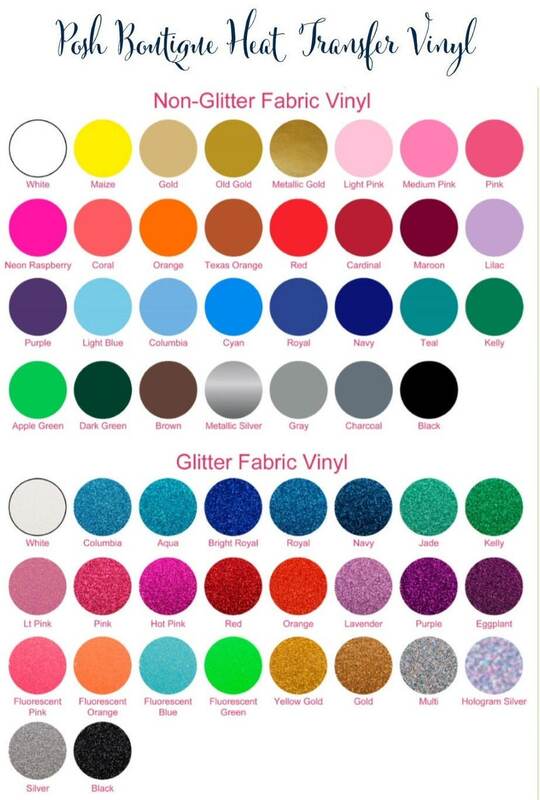 Next, add the colors, sizes, and quantities for each to cart. 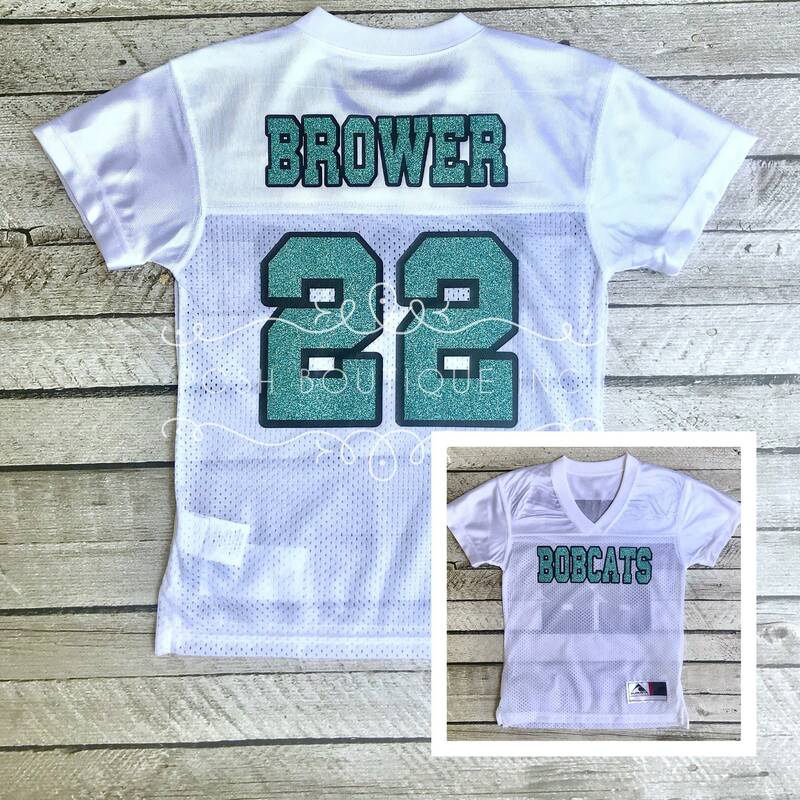 Last, leave your personalization information for your jersey(s) in the note to seller box at checkout. Please note: We offer several size and style options. The ladies and girls size options are a junior sized, fitted fit. Be sure to read size chart within this item's photos and measurements to find your best fit. 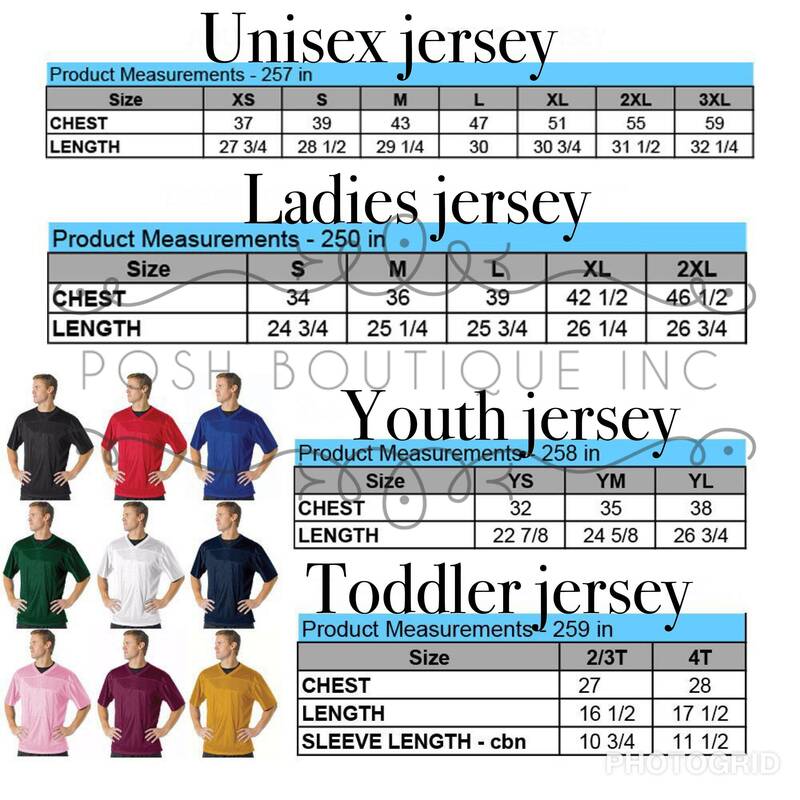 The ladies and girls sizes run true to size, and a little small if in doubt about your size - SIZE UP, as these are a fitted jersey. 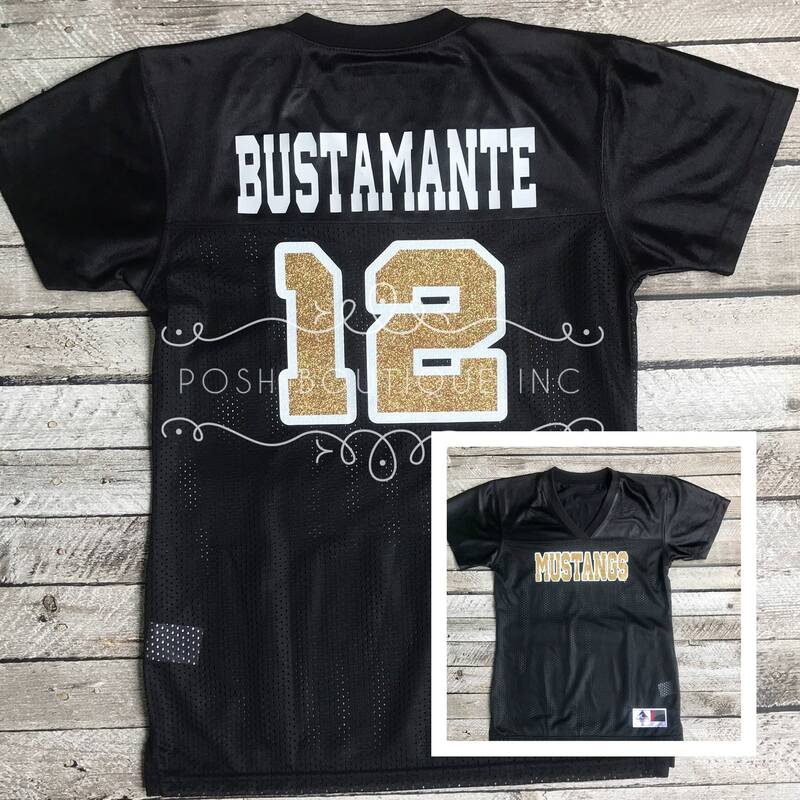 Love this jersey! Super cute, exactly what we wanted!! Jersey looks great. Just Make sure to specify if you do not want a 0 in front of your single digit number. 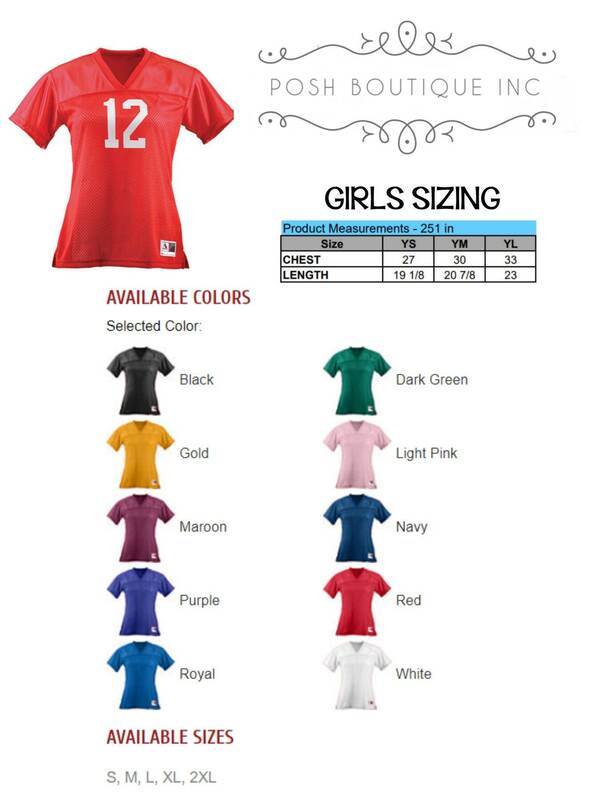 The jersey ladies size runs very small. Wasn’t able to use it.